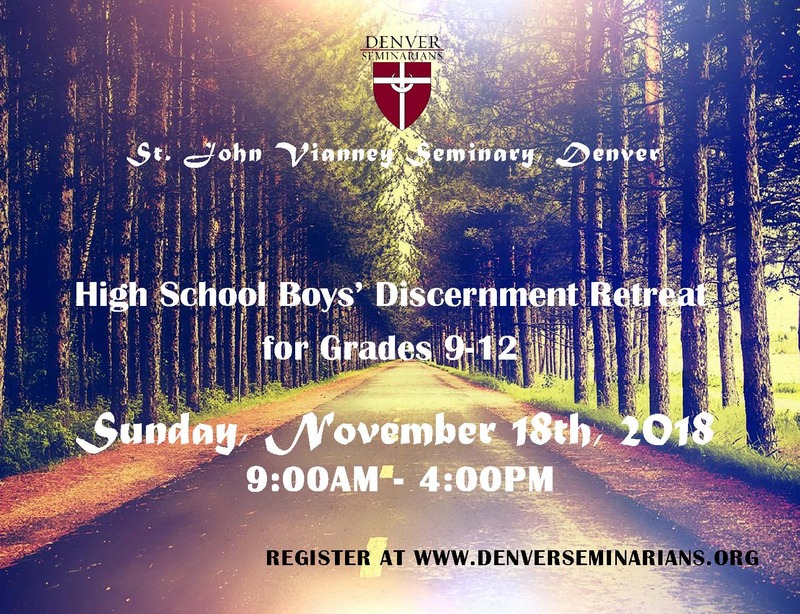 The second High School Boys’ Discernment Retreat of the 2018-2019 school year is Sunday, November 18th. This event is FREE for all High School Men – tell your friends! Men under 18: Please see the notes below about permission forms for events/retreats.